We launch today a sixteen class online training program on Predictive Coding: the e-Discovery Team TAR Course. 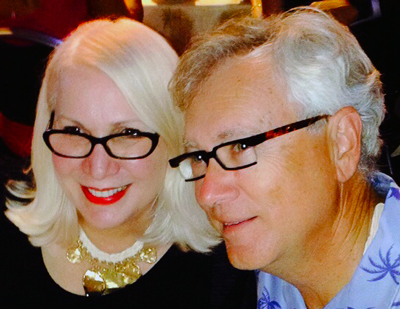 This is a “how to” course on predictive coding. 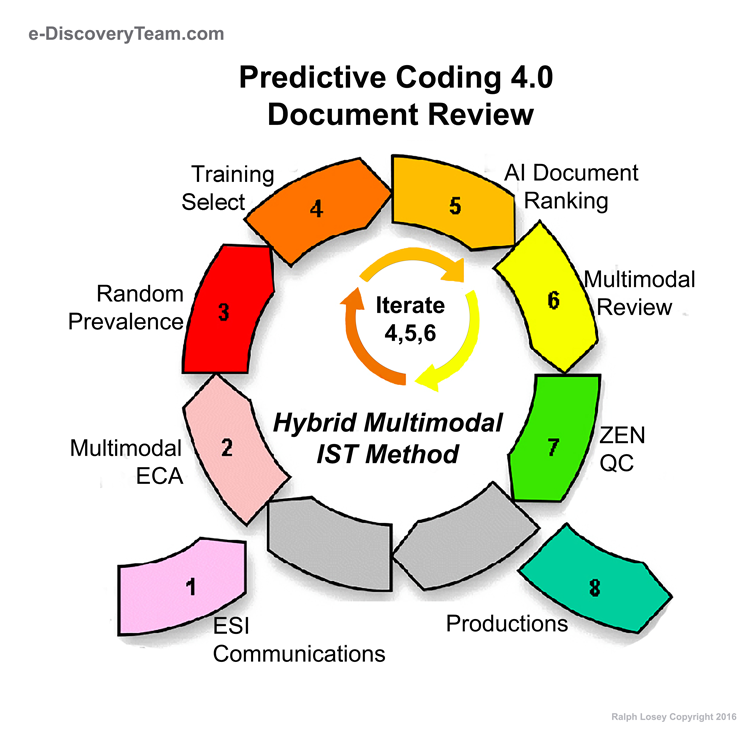 We have a long descriptive name for our method, Hybrid Multimodal IST Predictive Coding 4.0. By the end of the course you will know exactly what that means. You will also understand the seventeen key things you need to know to do predictive coding properly, shown this diagram. Hands-on hacking of predictive coding document reviews has been my obsession since Da Silva went viral. Da Silva Moore v. Publicis Groupe & MSL Group, 27 F.R.D. 182 (S.D.N.Y. 2012). That is the case where I threw Judge Peck the softball opportunity to approve predictive coding for the first time. See: Judge Peck Calls Upon Lawyers to Use Artificial Intelligence and Jason Baron Warns of a Dark Future of Information Burn-Out If We Don’t. Alas, because of my involvement in Da Silva I could never write about it, but I can tell you that none of the thousands of commentaries on the case have told the whole nasty story, including the outrageous “alternate fact” attacks by plaintiff’s counsel on Judge Andrew Peck and me. I guess I should just take the failed attempts to knock me and the Judge out of the case as flattery, but it still leaves a bad taste in my mouth. A good judge like Andy Peck did not deserve that kind of treatment. At the time of Da Silva, 2012, my knowledge of predictive coding was mostly theoretical, informational. But now, after “stepping-in” for five years to actually make the new software work, it is practical. For what “stepping-in” means see the excellent book on artificial intelligence and future employment by Professor Thomas Davenport and Julia Kirby, titled Only Humans Need Apply (HarperBusiness, 2016). Also see: Dean Gonsowski, A Clear View or a Short Distance? AI and the Legal Industry, and, Gonsowski, A Changing World: Ralph Losey on “Stepping In” for e-Discovery (Relativity Blog). If you are looking to craft a speciality in the law that rides the new wave of AI innovations, then electronic document review with TAR is a good place to start. See Part Two of my January 22, 2017 blog, Lawyers’ Job Security in a Near Future World of AI. This is where the money will be. Our TAR Course is designed to teach this practical, stepping-in based knowledge. The link to the course will always be shown on this blog at the top of the page. The TAR page next to it has related information. Since Da Silva we have learned a lot about the actual methods of predictive coding. This is hands-on learning through actual cases and experiments, including sixty-four test runs at TREC in 2015 and 2016. We have come to understand very well the technical details, the ins and outs of legal document review enhanced by artificial intelligence, AI-enhanced review. That is what TAR and predictive coding really mean, the use of active machine learning, a type of specialized artificial intelligence, to find the key documents needed in an investigation. In the process I have written over sixty articles on the subject of TAR, predictive coding and document review, most of them focused on what we have learned about methods. The TAR Course is the first time we have put all of this information together in a systematic training program. In sixteen classes we cover all seventeen topics, and much more. The result is an online instruction program that can be completed in one long weekend. After that it can serve as a reference manual. The goal is to help you to step-in and improve your document review projects. The TAR Course has sixteen classes listed below. Click on some and check them out. All free. We do not even require registration. No tests either, but someday soon that may change. Stay tuned to the e-Discovery Team. This is just the first step dear readers of my latest hack of the profession. Change we must, and not just gradual, but radical. That is the only way the Law can keep up with the accelerating advances in technology. Taking the TAR Course is a minimum requirement and will get you ready for the next stage. This course is not about the theory or law of predictive coding. You can easily get that elsewhere. It is about learning the latest methods to do predictive coding. It is about learning how to train an AI to find the ESI evidence you want. The future looks bright for attorneys with both legal knowledge and skills and software knowledge and skills. The best and brightest will also be able to work with various kinds of specialized AI to do a variety of tasks, including AI-enhanced document review. If that is your interest, then jump onto the TAR Course and start your training today. Who knows where it may take you? 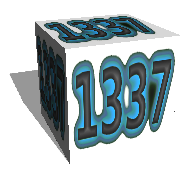 This entry was posted on Sunday, March 19th, 2017 at 3:58 pm and is filed under informaton, knowledge, Lawyers Duties, Related Legal Webs, Review, Search, Technology, VENDORS. You can follow any responses to this entry through the RSS 2.0 feed. Both comments and pings are currently closed. Thank you for sharing your body of work. If you conduct an in-person course covering your 17 topics, I would like to attend. Thanks for the request. Only is there is strong demand. But you are a good start.